12.5" RCOS @ ~f/9 (2880 mm fl) 0.64 arcsec / pixel. The Zoomify image scale is 1.37 to 3.28 arcsec / pixel. SBIG STL-11000 w/ internal filter wheel, AstroDon Gen II Filters. Click here for a narrow band color mapped image. Click here for an Ha filtered b/w image. eXcalibrator 3.0 beta (g-r) color balancing, using 128 stars from the SDSS-DR7 database. PhotoShop for non-linear stretching, LRGB. 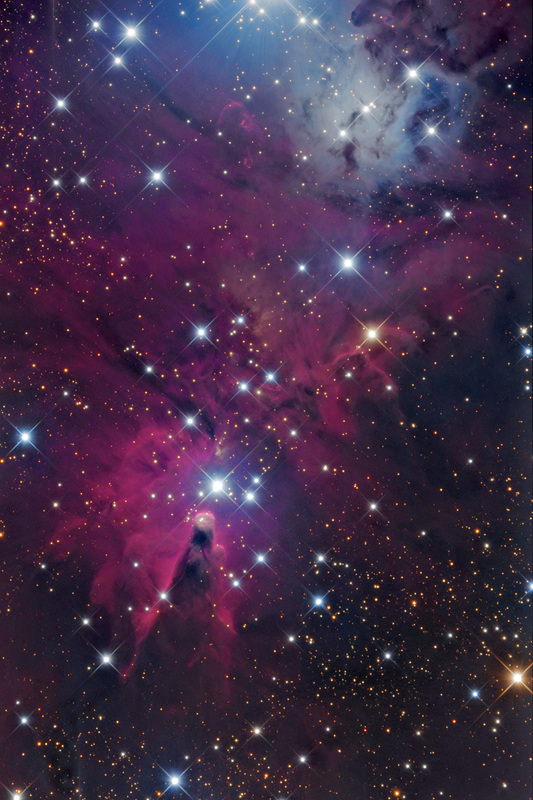 The Cone Nebula, located about 2700 light years away, was discovered by William Herschel on December 26, 1785. Features in the image include red emission from diffuse interstellar hydrogen and wispy filaments of dark dust. The dark Cone Nebula region clearly contains much dust which blocks light from the emission nebula and open cluster NGC 2264 behind it. 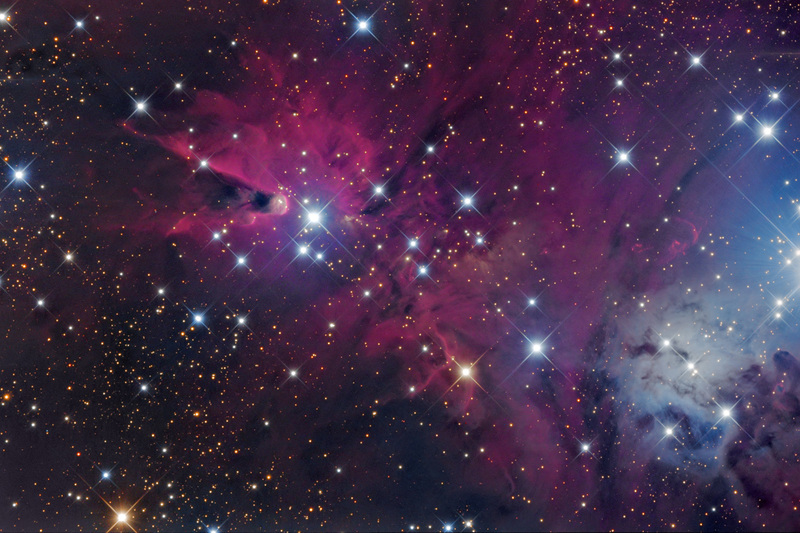 One hypothesis holds that the Cone Nebula is formed by wind particles from an energetic source blowing past the Bok Globule at the head of the cone.